Pärleporten cleaning firm wanted to revamp their website, as well as market their services on social media. Show how cleaning is a form of art, through colourful and fun imagery. We wanted the process of booking and finding relevant information to be easy and did this through simple navigation. 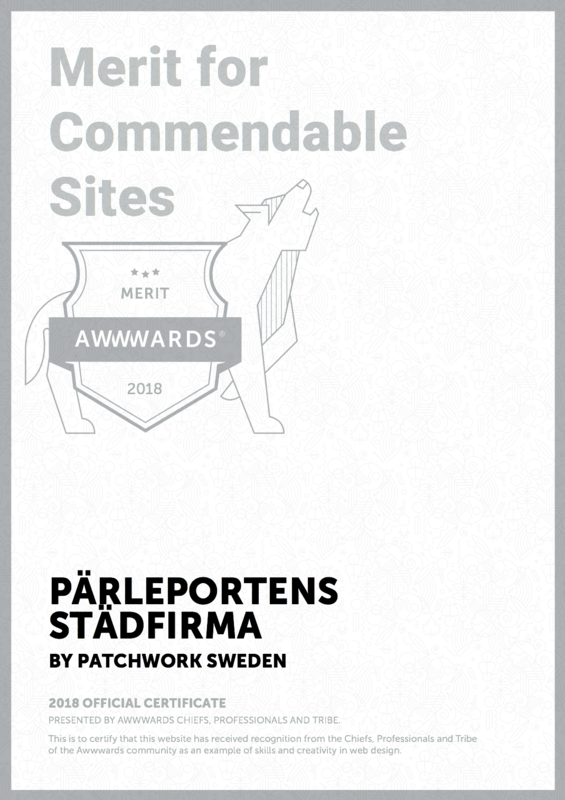 The website got a certificate from Awwwards.com for commendable sites. The website was entered to Awwwards.com.